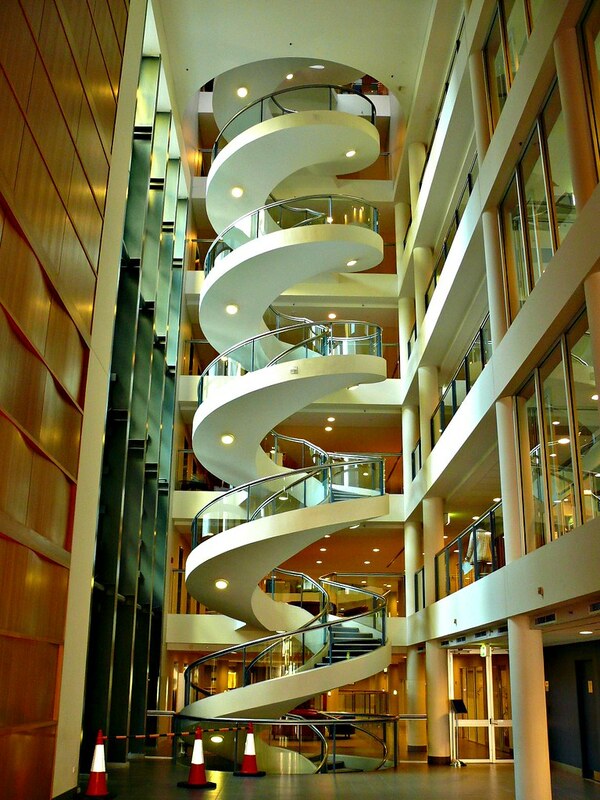 This a staircase with spiral look design. Look at the design, High staircase, great colour combination and the room lighting. It was amazing, for an architectural design.